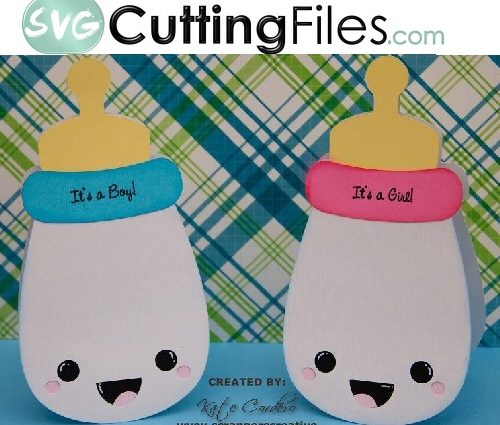 Kawaii Baby Bottle Shaped Card SVG file. This SVG file is perfect for your cutting machine. The svg file is an easy to cut out design to make all your pages come together quickly! Super Cute Kawaii Baby inspired Shaped Cards.... check them all out and mix and match! Goes great with our Matching kawaii baby things and Baby things Lollipop covers!